Nina, at 21, is standing at the edge of “being” and “becoming.” She remembers when her parents, and the nuns, and everyone else seemed to have plans for her, of who she was and who she’d be. Her dad calls “punk” anything and anyone that disobeys the norms. And then there’s Nina’s feelings. 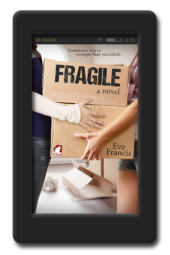 Feelings for her friend Kerry, feelings from her friend, Samantha – and then there are decisions; decisions that will change the course of an entire life, single moments that stand alone and change everything. Sometimes, you jump. Sometimes, you’re pushed. And sometimes you have friends that won’t let you fall. Punk Like Me—it’s not about breaking the rules: it’s about following your heart. ‘Punk Like Me’ is narrated by Nina. We meet her first when she and her band are about to perform at a venue in the East Village in New York. She is a punk, and she is gay – or, as she says, G. A. Y. She warns you, if you have an issue, read no further. While waiting to perform, she thinks back several years, to the early 1980s, to when she was last in this place. 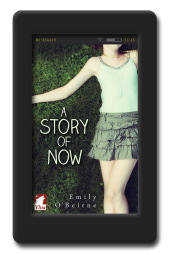 For the rest of the book, up til the last chapter, we are taken back to her 16 year old life, and relive the disruptive, transformational events that took place then. Nina is a very likeable narrator. She is perceptive, honest, and very often vulnerable. You cannot help but feel for her and maybe even identify with her as you see her life through her eyes. ‘Punk Like Me’ is a coming of age coming of age novel with an edge that distinguishes it from many others in the lesfic genre. In the telling of the tale and in the use of names, Salinger allusions abound. I never really enjoyed reading Salinger – yet I loved the Salingeresque elements of Glass’s work. 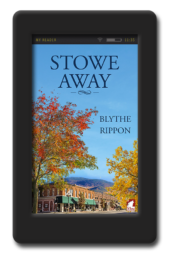 The story offers a raw account of the heady pleasures of discovery of self – and the devastating pain that comes when others you love reject the real you. Indeed, there are places in this novel that I found myself hoping that the account is not autobiographical. ‘Punk Like Me’ offers a reminder of what things used to be like in the bad old days if you did not fit in to the narrow prescriptions of what is normal. Reading it will leave you grateful to be living in 2016 and not the the early 1980s. That said, if you are a 50-ish reader, this novel will also provide the pleasure of looking back fondly at some of the social rituals of young teens in the US in the 1980s. In that sense, ‘Punk Like Me’ reminded me a great deal of Carol Rifka Brunt’s ‘Tell the Wolves I’m Home’ (2012, Random House). Of annoyance for me, as distinct from weakness in the story, were the lack of references to current events of the 1980s that would allow placement of the story year accurately. My best guess for the year that Nina was 16 comes from from the U2/punk culture references and the lack of references to HIV, which would make the year 1981. For readers who like ‘Punk Like Me’, there is the pleasure of three books to follow, which according to Glass can be read in any order. I’ve moved on to ‘Punk and Zen’. My main reservation about ‘Punk Like Me’ is that it is a revised edition of a story that was told well over a decade ago. 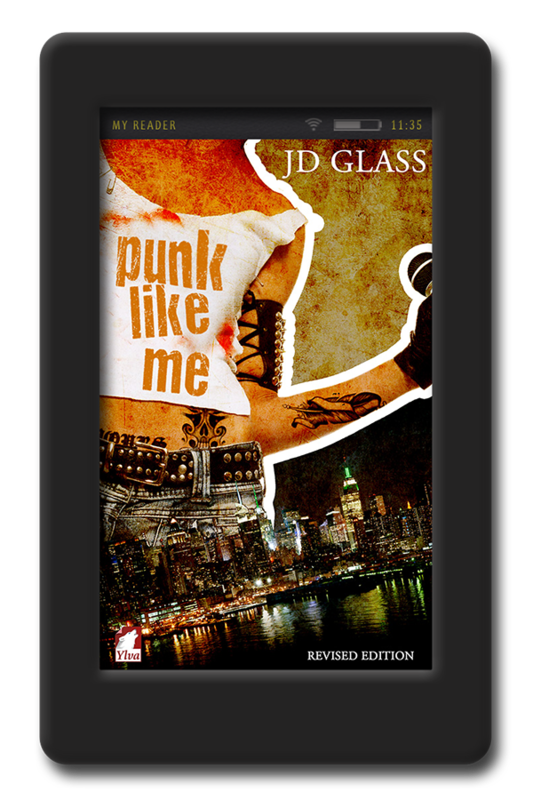 I’m new to J D Glass and while I’ll work my way through the remaining books in the ‘Punk’ series and her other older titles, what I would really like to read now is Glass writing today. It would seem that that Ylva’s publication of PLM does signal the arrival of new themes in contemporary setting. Listed in the ‘Coming from Ylva Publishing’ section at the end of ‘Punk Like Me’ is a novel entitled ‘Drawn Together’. There is not publication date listed but I’m hoping that it will follow soon – I’d love to see how Glass handles contemporary themes. O.M.G. This has to be one of the best books I have read in years. OK I know what you’re thinking that I can’t get out enough, but honestly I’ve read numerous books and most of the classics and I will remain with my original assessment that this is one of the best books I’ve read. It’s written as the author is the main character Nina and you get all her thoughts and feelings of everything she encounters. Not everyone’s cup of tea I know, and I admit not my first choice of a book. 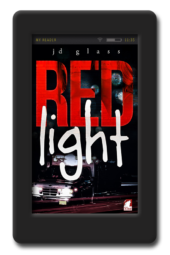 But JD Glass has such an exceptional writing style that you can’t do anything but get involved and go on a journey with Nina with all it’s ups and downs. And just for the record her parents are evil twisted human beings, no wait, they aren’t human beings, just evil and twisted. Read you’ll get the picture. But you really have to read this regardless of what others say it’s a life journey of one strong and independent person, one although fictional, is someone I admire for her bravery and her kindness. Enjoy, if you haven’t guessed I did.